ip-num, version 1.0.1 is now available. It is mainly a bug fix release. 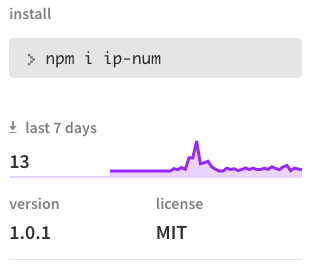 to add ip-num as a dependency to your next project.